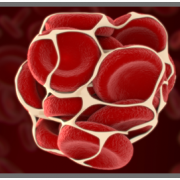 Coagulation laboratories are frequently located near or within Hematology, and they focus on the complex pathways of coagulation in the blood. Many coagulation assays have both a functional (activity) and quanitative (antigenic) method for measuring specific coagulation proteins. Automated equipment allows physicians to diagnose and monitor congenital and acquired bleeding disorders, platelet disorders, hypercoagulable conditions, and autoimmune coagulation disorders.